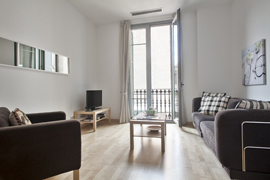 A lovely minimalistic 3 bedroom apartment with traditional Eixample balconies. Colorful 3 bedroom apartment in the best location within walking distance to the most popular sights. 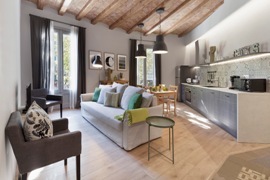 Impressive design is obvious in this newly refurbished apartment in Eixample area. 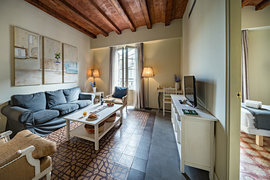 Traditional Spanish style apartment was recently renovated and can be found in one of the best areas in Barcelona - Eixample. 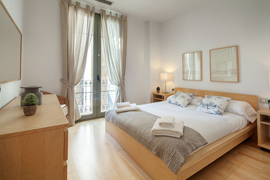 Beautiful apartment with big windows for 6 people in a convenient neighborhood of Eixample. 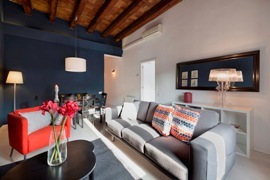 Very bright penthouse apartment with a beautiful terrace in Eixample, perfect for a couple’s getaway. 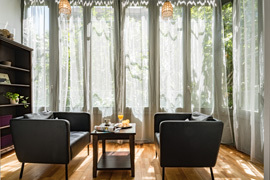 This traditional apartment is located in the central Eixample area and preserves original details yet is modernly refurbished. 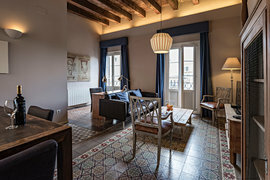 This traditional Eixample apartment is newly refurbished but has the traditional perks such as high ceiling and balconies. 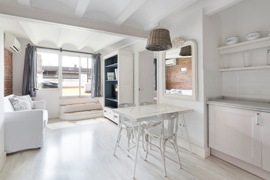 A classic and bright 3 bedroom apartment located in the central Eixample area. This attractive 3 bedroom apartment in Barcelona is next to Arc del Triomf, a stone's throw away from Catalunya Square and the Born Area. Attractive 2 bedroom apartment in Barcelona next to Arc del Triomf, a stone's throw away from Catalunya Square and the Born Area. 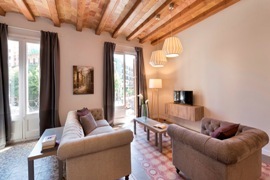 Attractive 2 bedroom apartment in Barcelona located in the Eixample area.